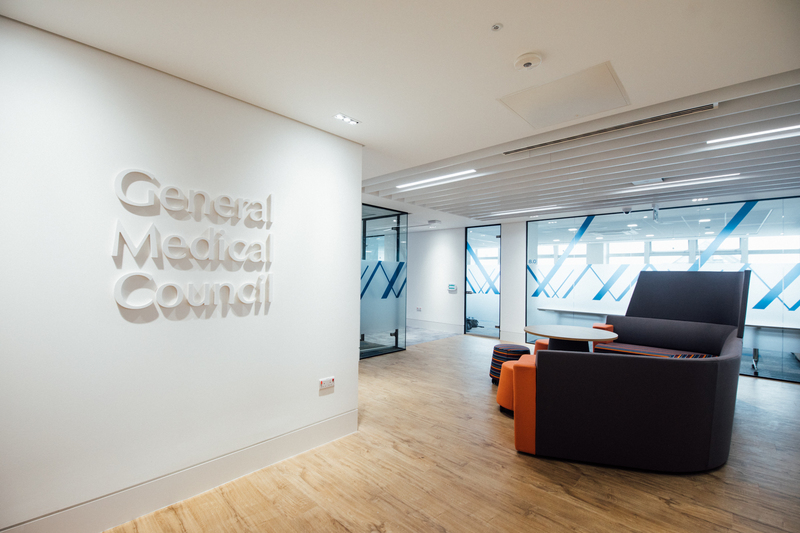 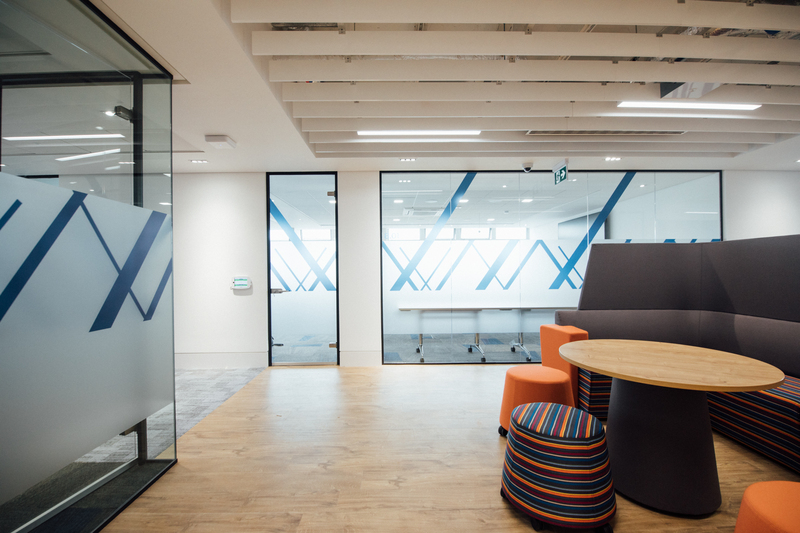 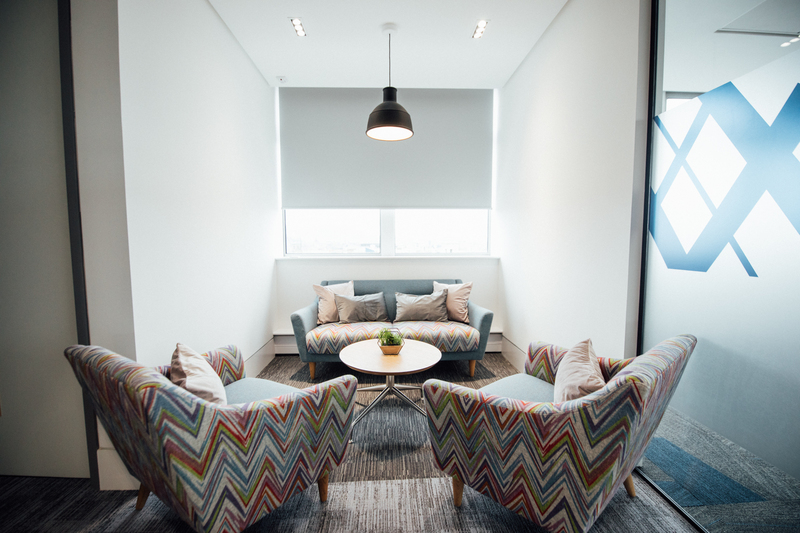 We’ve just completed our latest city centre fit-out project, and we’re pretty pleased with the results! 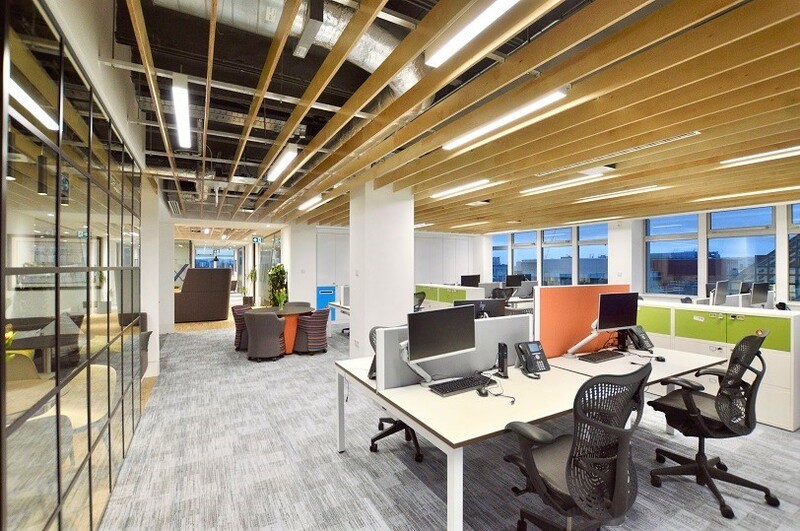 This scheme was carried out over a 5 week period, which included a full strip-out, right through to a turnkey fit-out of this prime commercial office space. 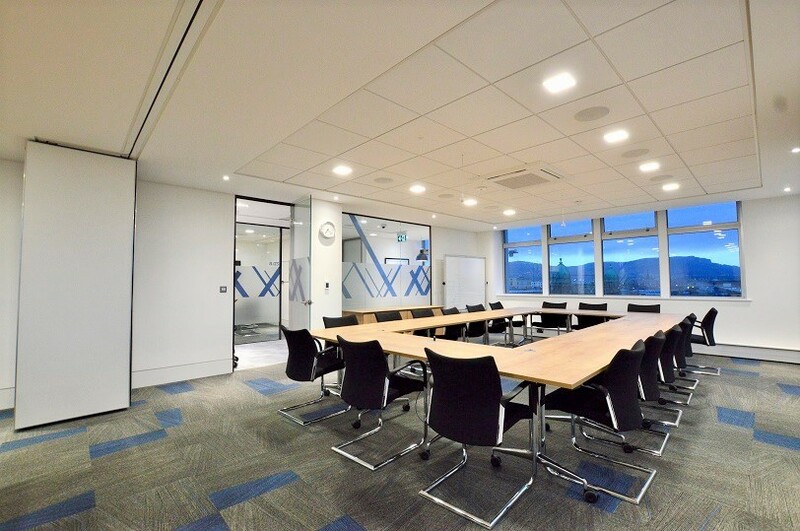 It boasts an 8th floor panoramic city centre view, and provides a bright, open plan environment for staff to work, eat and relax. 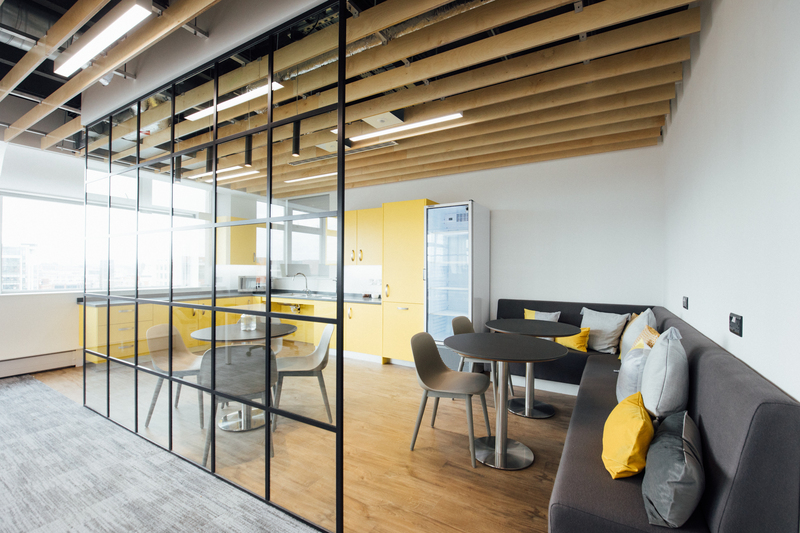 The glass partitioning gives an element of privacy without subsiding the light, airy feel. 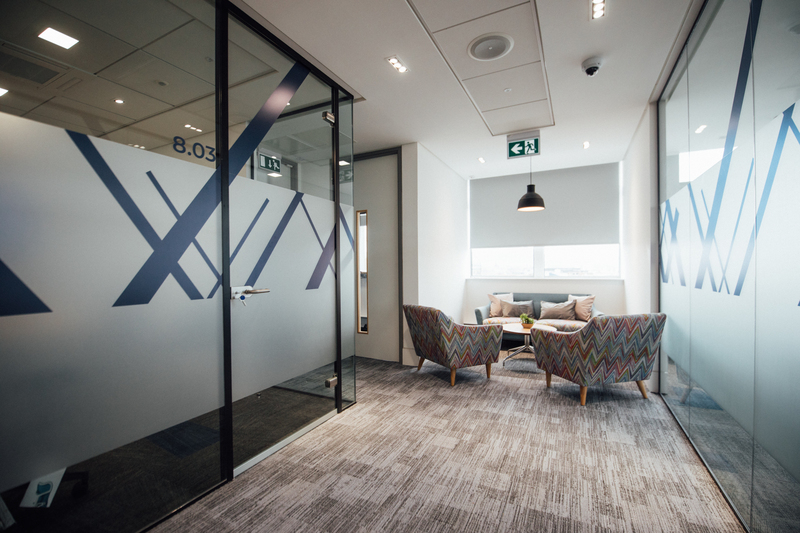 With the acoustic bi-folding door making a bold statement, it provides the client with a practical dual room split. 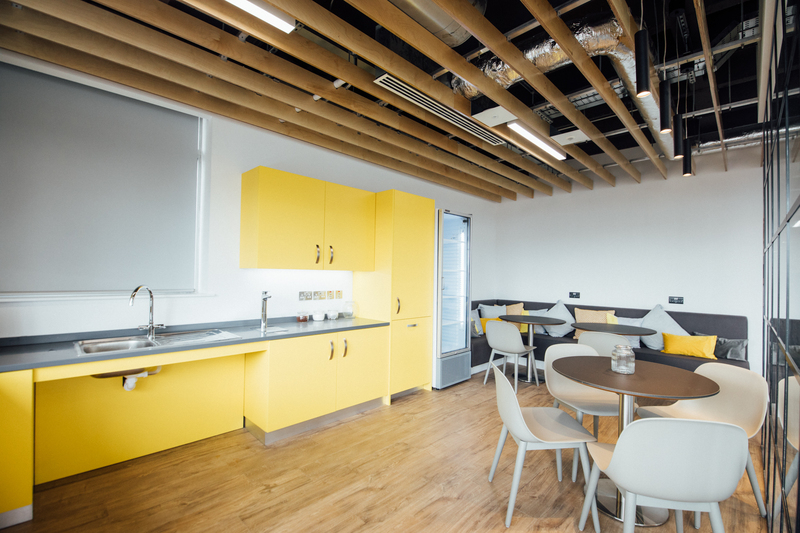 To finish off the striking look, they opted for an acid yellow fitted kitchen….perfect for (literally) brightening up a dull day!